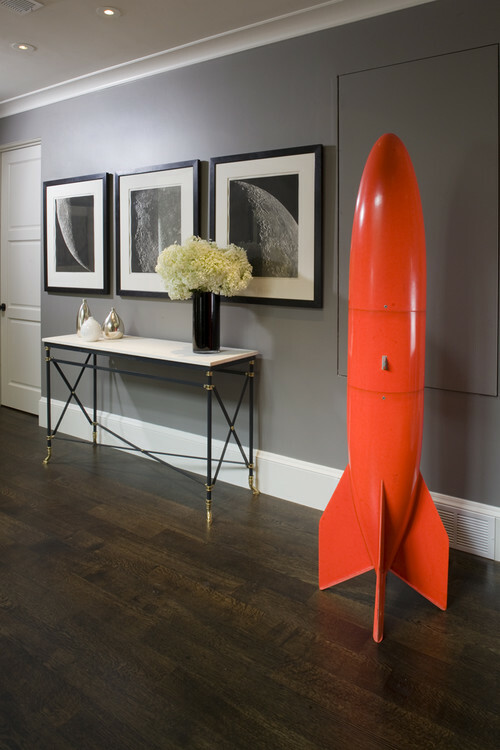 Gone are the days when gray rooms conjured up feelings of dreariness and gloom. No longer a formal color used in institutional settings, gray is quickly becoming a go-to color for its diversity, neutrality and more. Homeowners in the know are using gray to bring a soothing, sophisticated style into the home. This week we highlight some of the best ways to utilize gray. 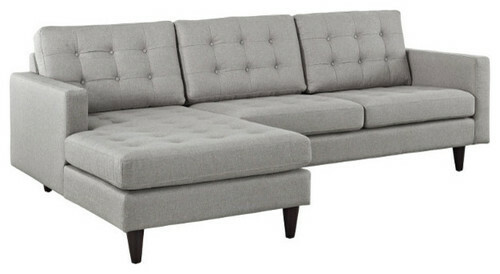 Gray furniture is a top choice for subtle style: it hides stains and wears well, great with just about any accent color. Utilize inexpensive paint grade material on wood stairs and paint them gray! This is a super affordable way to upgrade your stair style and stay within budget. Ash Grey Aalto Stair balusters pair perfectly with warm wood tones and nickel or stainless hardware for a look that is both elegant and affordable. 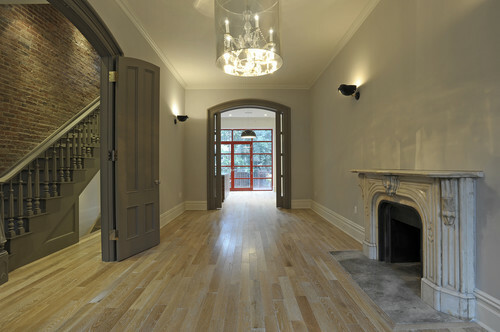 Whether real or faux, gray wood grain is very much in demand currently. 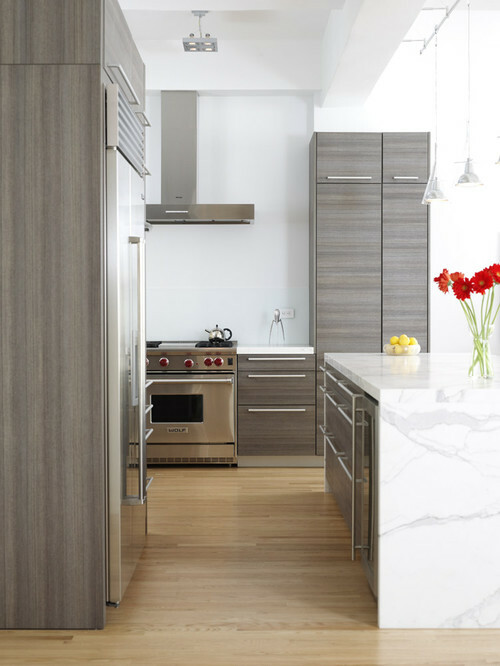 The organic quality of wood grain paired with the modern elegance of gray really makes a statement. 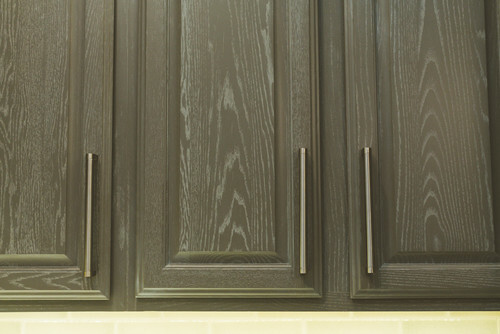 Gray wood grain cabinets with stainless hardware bring sophisticated style into the kitchen or bathroom. Accent walls clad in gray are all the rage. Wrapped in white moulding, this entryway is a great example of the strong relationship between white, gray and black. Modern Hall by San Francisco Interior Designers & Decorators Martha Angus Inc.
Gray meets gold in these ever so stylish cabinets adorned with gold pulls. Metallic gold/brass hardware really pops off of flat or satin paint to create great highlights.